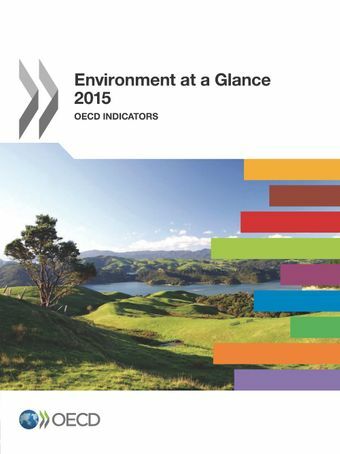 Environment at a Glance 2015 updates key environmental indicators and relevant socio-economic and sectoral indicators to track OECD country progress on major environmental issues and inform policy development and evaluation. This year's edition includes increased coverage of environmentally related taxation, ODA and R&D expenditure. Environment at a glance 2015 highlights the many OECD countries that have succeeded in reducing their greenhouse gas emissions, and those that have increased their share of renewables in energy supply, improved their waste management, or innovated to more efficiently manage their water resources. The data are there to prove it: whether we are talking about natural resource consumption, waste generation or air emissions, decoupling is possible. These positive developments are attributable both to the rise of the services sector and with it, the displacement of resource- and pollution-intensive production abroad, as well as to policy action and technical progress. The economic crisis also contributed to relieve some pressures on the environment. Environment at a Glance also reveals where progress has slowed or is insufficient. There is substantial scope for strengthening air and climate policies, changing patterns of energy consumption, improving waste and materials management, preserving biodiversity and natural assets, and implementing more integrated policies – all critical components of green growth and sustainable development. Many positive developments still take place at the margin and policies often lack coherence, thus undermining efforts to reduce negative environmental impacts. While many countries show a relative decoupling of water abstractions from GDP growth, in a third of countries, freshwater resources are under medium to high stress, and many countries have to cope with local or seasonal water shortages, which are expected to be exacerbated by climate change. Landfill remains the major disposal method for municipal waste. A person living in the OECD area generates on average 520 kg of waste per year; this is 30 kg less than in 2000, though still 20 kg more than in 1990. The use of environmentally related taxes is growing but remains limited compared to labour taxes. Variations in energy tax rates, uneven price signals, low levels of taxation on fuels with high environmental impacts, and exemptions for fuel used in some sectors impede the transition to a low-carbon economy.